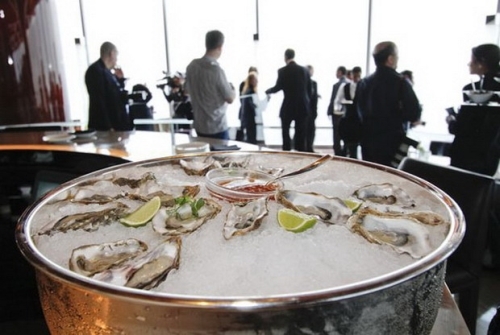 Fancy dining up in the sky? 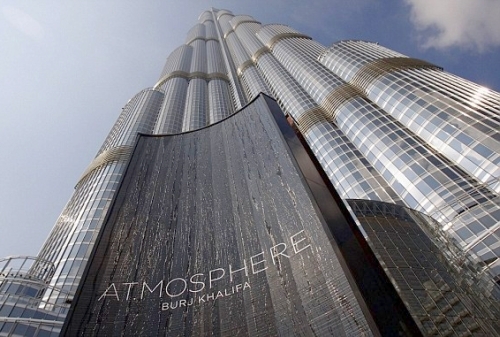 Atmosphere is the highest restaurant in the world located on the 122nd Floor of Dubai Just 2 floors below the observatory of the tallest building of the world. 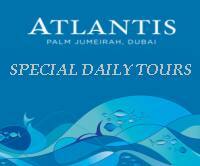 Exotic Dubai Tours and Safaris can organize Special meals and parties at the restaurant with Deluxe transport service from your hotel or residence to Atmosphere. Set Menu Lunch with Pick Up & Drop by BMW US$ 400.00 Per person Including the set menu Lunch and Pick up & Drop by Luxury Car from your hotel. Contact us to reserve now. 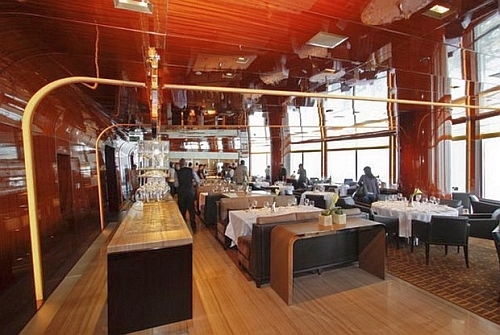 Here are basic details of the Atmosphere restaurant. Sprawling over 1,030 sq m on Level 122 of the world’s tallest building, at a heiahtof over 442 metres, and two levels below At the Top, Burj Khalifa observatory deck, Atmosphere is one of the world's finest luxury dining and lounge experiences. Holder of the Guinness World Record for the Highest Restaurant from Ground Level, this innovative lounge and restaurant offers unparalleled views of the Arabian Gulf. Offering a unique dining concept, guests could choose to dine at the Restaurant or unwind in the Lounge overlooking Downtown Dubai and the world’s tallest performing fountains. Whether you're a connoisseur of fine dining or simply wish to relax and enjoy the view, Atmosphere promises you an experience like no other. A fine dining restaurant that offers modern European cuisine with a wide selection of steaks and grilled items. 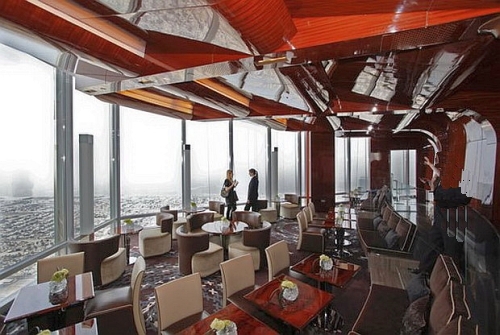 It is located on the 122nd floor of Burj Khalifa. Wines: extensive list with French and International lables. Large Wine display. Large cocktail selection.